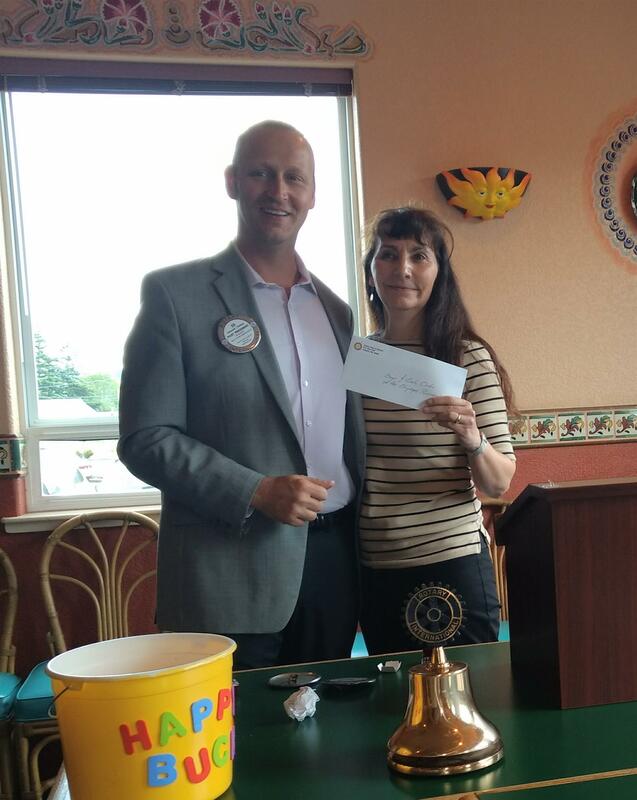 Outgoing 2017-2018 President Ed Ebling is seen here presenting a $2,500 check to Executive Director of the Boys & Girls Club, Mary Budke. The Rotary Club of Sequim helped to establish the Boys & Girls Club over 30 years ago and has provided financial support each year since. The $2,500 will be used for program support for the 350+ kids who attend daily in Sequim. Currently the Boys & Girls Club of Clallam County is in the process of a capital campaign to build a new Boys & Girls Club building in Port Angeles suitable to support the member kids in the Port Angeles school district.